Australia’s number one pasta brand San Remo is partnering with the nation’s greatest cycling race, the Santos Tour Down Under, which takes place in and around Adelaide in January 2019. Australian track cycling champion and sporting hero, Anna Meares will deliver 860kg of dry pasta on behalf of San Remo to the Hilton Hotel in central Adelaide in advance. The delivery to both male and female competitors will ensure they are fuelled up before, during and after the race stages, with the Hilton chefs preparing pasta meals throughout. Although retired from racing, Anna remains a big pasta enthusiast, using it to keep her energy levels high when travelling, presenting and hosting events. Anna will be on hand during various stages of the professional Tour Down Under race, offering her support to participants, and meeting guests and spectators. “During my competition days I needed to eat a good balance of carbs and protein. Pasta was always a good option and it was easily cooked in large portions to freeze or take to training to eat intermittently. “Now food has gone from the fuel of a champion, to the fuel of life. I travel a lot and speak and engage with people a lot so need to keep my energy up with the right food sources. Pasta is still a great source for me and I fill it with salads and vegetables,” explains Anna. Many nutritionists and dietitians extol the benefits of pasta as an energy source for those who are physically active, due to it containing carbohydrates, which are the body’s main muscle fuel for moderate to high intensity exercise. Last year, the elite riders at the Tour Down Under consumed 670kgs over the duration of the event, with over 11,500 meals and over 2,000 packed lunches made by chefs at the Hilton Hotel where they stay for the duration of the event. It is estimated that competitive cyclists in events such as the Tour Down Under can burn up to 7,000 calories per stage, over three times that consumed by the average person daily. 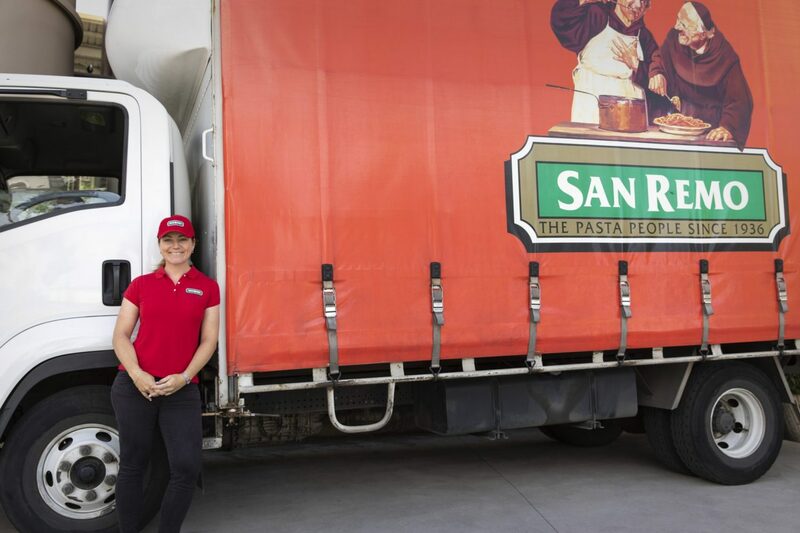 San Remo is a 100% Australian family-owned business that has been making pasta locally in Adelaide since 1936, with a range of premium products, including traditional egg, fresh, gluten-free and pulse pasta.